The annual PrimeGlobal BENELUX Conference has an energy all of its own. There is no substitute for the outstanding discussion and idea sharing that takes place each year at this event. 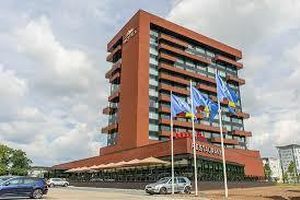 This year's event is taking place in Enschede, Netherlands. If you are a PrimeGlobal member you must be logged in to read more about this event and register as soon as possible! If you have any questions please contact Céline Lai. Find out about the last BENELUX event HERE. If you are a visitor please click here to find out more about our global events and contact Stacey Sanchez for more information. Follow the event on social media with #BENELUX. Enschede is a city of knowledge and education with the Saxion University of Applied Sciences, a conservatory, a pop academy, an international school and an art academy, all within it's charming borders. Enschede is also the epicentre to music and culture in the east of the Netherlands. All centred around the most convivial public square in the Netherlands; de Oude Markt (lt. Old Market Square) which is surrounded by several cafés, restaurants, bars and clubs. Join us in Enschede and explore this charming and interesting city!